Cambodia is a wonderful country in Southeast Asia, a place that’s brimming with history and life. From the bustling cities to the fantastic archaeological sites, you’ll find plenty to see and do in your time there—and best of all, travel around the country is both cheap and convenient. The capital city of Cambodia is a fascinating place to visit. 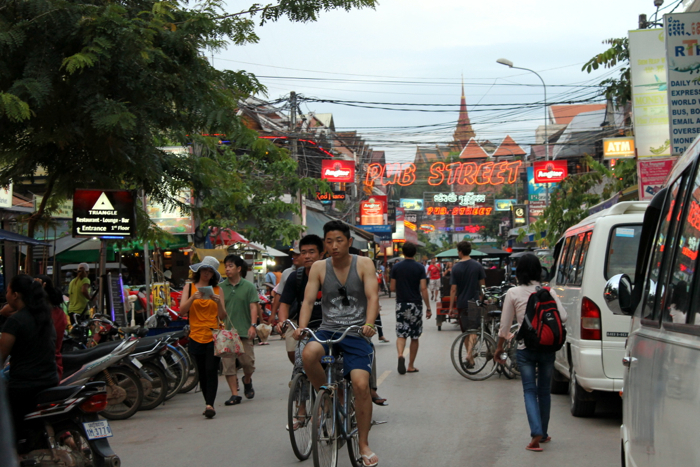 From bus to tuk tuk to taxi to motorbike, there are plenty of ways to get around the city. 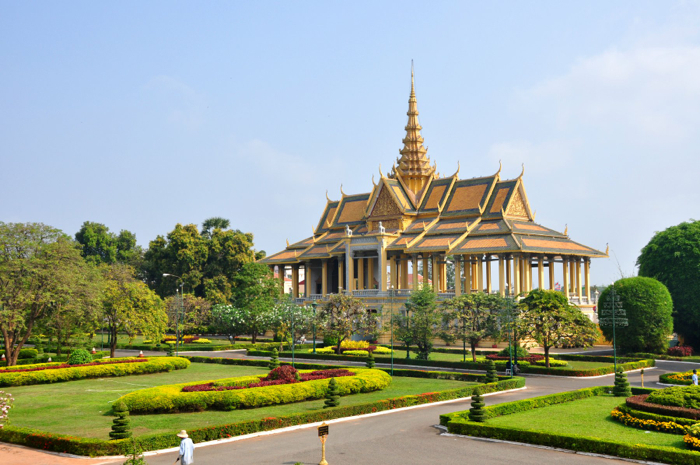 You won’t want to miss the Royal Palace, the National Museum of Cambodia and the sobering Killing Fields of Choeung Ek. Also make sure to have a wander along the Riverside area (Sisowath Quay), with its charming cafés and shops. It’s a great place to people-watch, especially in the evenings. And don’t miss the nearby Central Market, which sells everything from souvenirs to electronics in an interesting Art Deco building. There’s plenty more to explore in and around the city, so definitely make sure it’s on your itinerary! 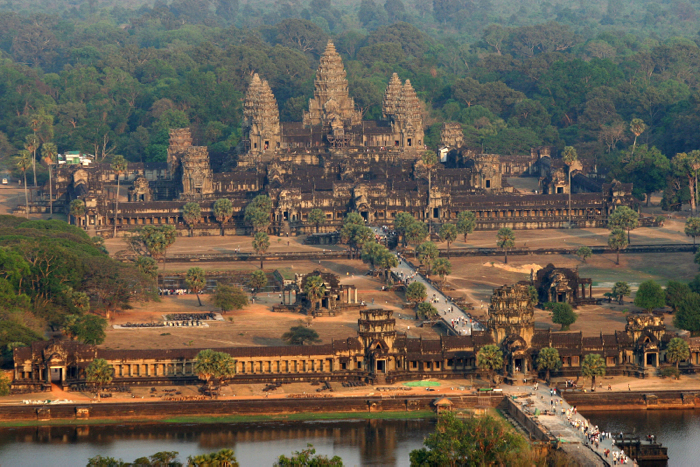 No list would be complete without mention of the spectacular Angkor Archaeological Park. This site, which contains the remains of some six centuries of Khmer history beginning in the ninth century, has been a UNESCO World Heritage site for a long time, with good reason. You won’t want to miss Angkor Wat, but make sure you also check out some of the other parts of the park so that you can get a good idea of the ancient culture’s artistry, engineering and more. 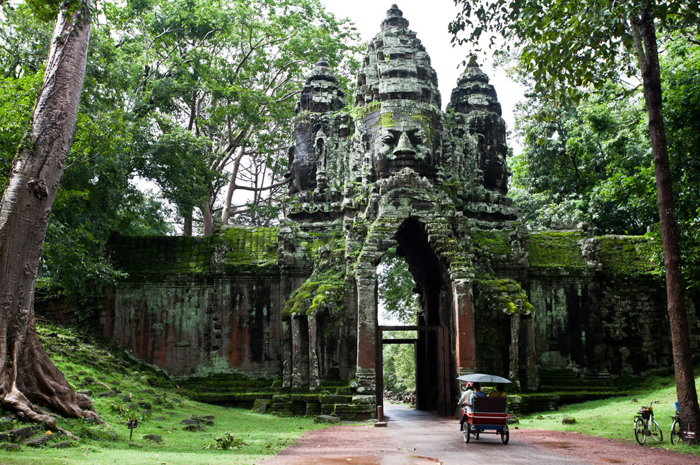 If you’re headed to Angkor, you may choose to make nearby Siem Reap your home base. In this booming town, you’ll find an interesting juxtaposition of Western restaurants and other amenities, along with traditional Cambodian places. You may choose to visit the Angkor National Museum, which will give you a good briefing on the history of certain parts of the Angkor Archaeological Complex (including Angkor Wat). There are also a number of temples located around the city; it can be interesting to tour these and make note of their differences. You’ll also find everything from cooking classes to theater performances to markets to floating villages and more, so if you’re looking for a great cultural experience, this is definitely the place for it! Your visit to Southeast Asia isn’t complete without a visit to one of its many paradisiacal beaches, and Cambodia has some of the best. 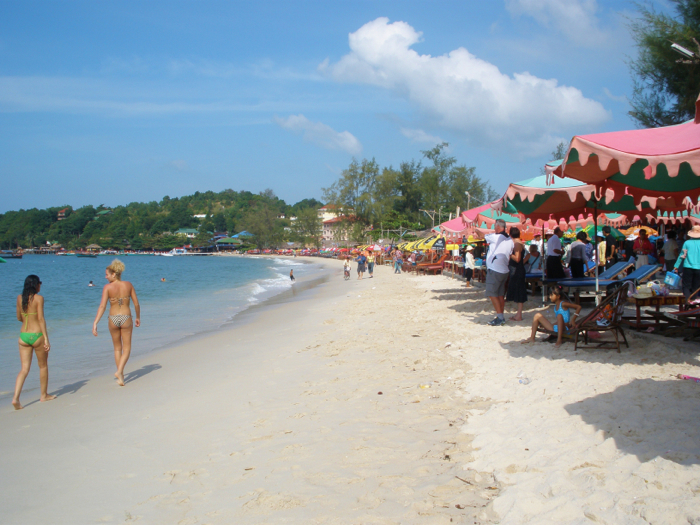 Otres Beach is one of the favorites of the Sihanoukville beaches: it’s a clean and beautiful white-sand beach, and it isn’t as crowded as some of the other beaches in the area. But any of the beaches in Sihanoukville can be great places to rent that bungalow and have that dreamy getaway for two…or whatever else you might be imagining in your beach vacation. It also makes a great place to visit on your way out to Koh Rong Sanloem and some of the other islands. 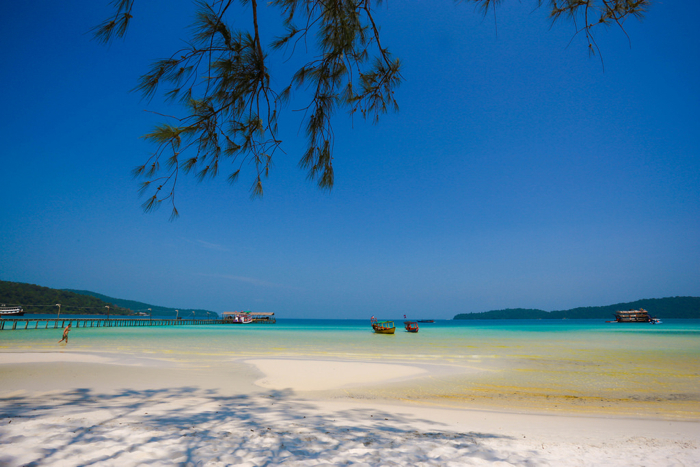 If you’re looking to dive or snorkel anywhere in the world, you should be looking at Koh Rong Sanloem. This island is located not far off the shores of mainland Cambodia, but you’ll feel like you’re in another world. If you haven’t earned your dive certificate yet, this is a cheap place to do it—but experienced divers won’t find themselves bored either! The clear, warm waters are home to a spectacular array of fish, stingrays, starfish and more. Of course, even if you’re just looking to kick back on an island and forget about the world for a while, this semi-remote island can be a great place to do that! Starting to feel the excitement yet? Check out this GlobeRiders episode on Cambodia for even more information and ideas! Traveler’s tip: If you’re located outside the US, you’ll need to use a VPN to stream shows on Hulu, Netflix and other such sites since they restrict their streaming catalogues due to copyright restrictions. If those sweeping landscape and awe-inspiring temple complexes don’t inspire you to start planning your trip now, I don’t know what will! Have you been to Cambodia? Share your tips and stories in a comment below!